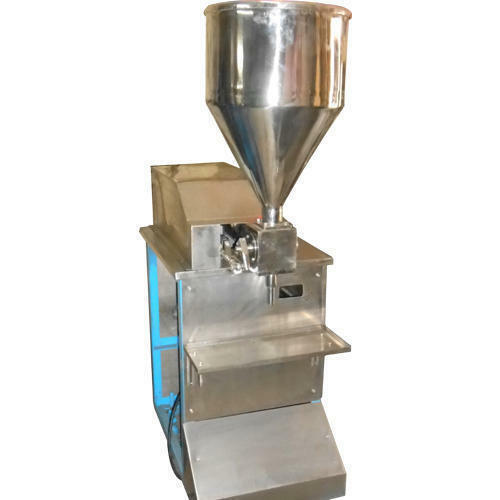 Semi auto Paste/ jelly/ honey/ jam/ shampoo Filler (Simple Operation) :-This is ideal filling equipment for medicament, light industry, food, pesticide and other special industry. We are founded in the year 2006, at Mumbai, Maharashtra, India. We Royal Pack Industries, are known as the prominent manufacturer & wholesaler of Sealing & Labeling Machine. Our offered product range comprises of Form Fill Seal Machine, Powder Filling Machine and Liquid Filling Machine.These products are manufactured using the best grade raw material and advanced technology. The offered products are designed with high precision in order to meet the set industrial standards. We test these products on various parameters to ensure flawlessness. The offered products are widely acknowledged among our prestigious clients due to their excellent performance, low maintenance, sturdy construction, dimensional accuracy and enhanced dependability. Furthermore, we offer these products to our esteemed clients in various customized options at affordable prices.